In the age of online shopping, brick-and-mortar retail stores must take every possible action to sustain business operations and generate profits. One smart strategy to reduce shrinkage and optimize your business operations is to implement a key management system. Stores, malls and shopping centers use hundreds to thousands of physical keys to secure the numerous possible entry/egress access points to their facilities. For each area, there are risk-prevention strategies which begin with preventing unauthorized access. Security gates are the first line of defense for many stores. Keeping these secure means that it is impossible to enter the store at all. Once the gate and the store are open, the keys to security gates must be locked away to ensure that no one can make copies. Permission to remove these keys can be limited to the individuals who have authority to close the store, and can be further limited to the specific store closing time. Storage rooms may contain a significant amount of valuable merchandise that needs protection from theft. In a large store with many employees, you should determine who is authorized to enter the storage rooms on a room-by-room and hour-by-hour basis. For example, an individual with access authority should never be able to enter a storage area outside of scheduled hours. Should someone attempt to do this, management can be notified the moment they try to remove this key from the key control cabinet. Mechanical closets are the heart of operations and access to these rooms should be strictly limited to those who have a business reason to enter. Not only is there potential for vandalism and mayhem, but also store owners and managers could be personally liable for any injuries should an unauthorized individual enter the closet and get hurt. HVAC areas hold critical infrastructure that must be protected from damage, whether intentional or accidental. Like mechanical closets, there is also the potential for liability which could put a retail store out of business. Outdoor enclosures not only pose the same risks as mechanical closets and HVAC areas when it comes to liability, they also can be a location for crimes to occur or criminals to hide, especially after dark. Keeping them securely locked, and limiting access to their keys, helps to deter this from happening. Personnel lockers may contain cell phones, credit cards and other items of high value. Giving employees a place to secure their locker keys improves the workplace culture by showing a higher level of care. Learn more about other asset management solutions here. Beyond all the above, it is critically important to keep intruders out of any back area in a retail environment in order to limit the risk of cybersecurity intrusions. One of today’s most common ways to hack into a network is to physically access an IP port and simply plug in. Cybercriminals often pose as maintenance or other workers to gain this access. By requiring anyone entering secure areas to be authorized keyholders, you can help to eliminate these vulnerabilities. Whether it’s a network of cabinets for each store with the central controls in the management office, or a closed system in use at one store, key control systems are the best way to manage keys in a retail environment. Discover more about how asset management can further enhance security for retail businesses here. 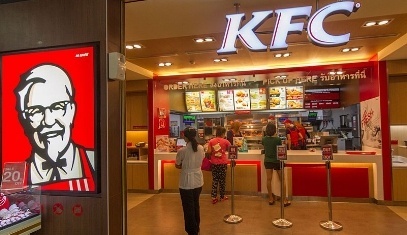 Case Study: Using Guard Tour Systems at KFC for Security Management – read more. Case Study: Morse Watchmans KeyWatcher® Systems Deployed at Australia’s Westfield Shopping Centers – read more.